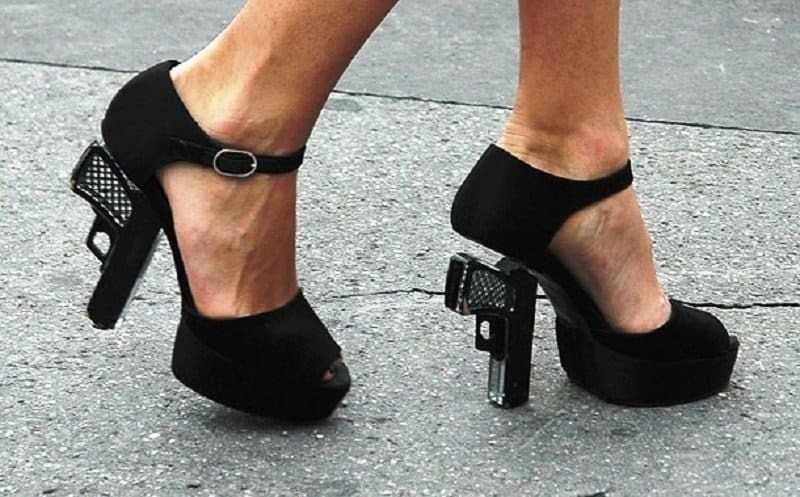 High heels are a terrifying part of every woman’s wardrobe to begin with. They are often uncomfortable, hard to get on, and can be the scariest thing in the world for a klutzy girl. However, women across the globe wear them because they make their legs look longer, and they are a fashionable accessory for any outfit. 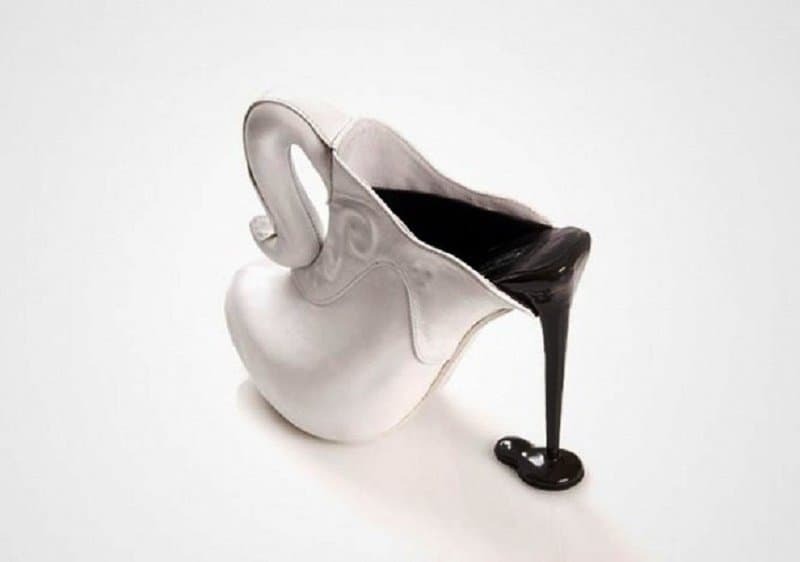 There are quite a few high heel designs that are interesting, and there are even less that are just downright bizarre. 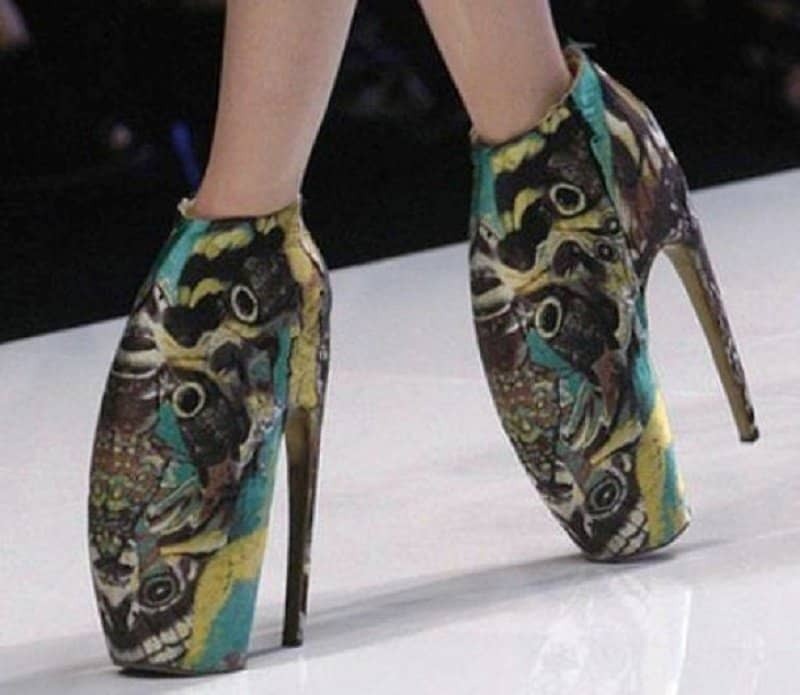 The unique shoe designs in this list will baffle most people, as they are absolutely bizarre! 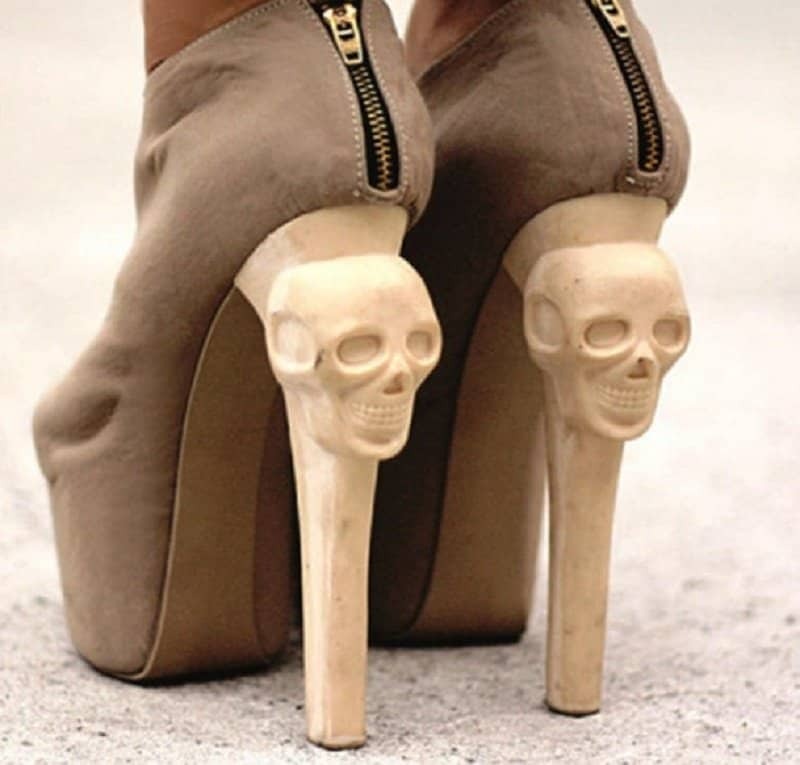 These heels are actually quite clever and cute, although they may shock some people. This shoe is more of a piece of art than something one would want on their feet. It’s actually quite beautiful! One has to wonder where the foot goes and how it fits into these shoes! These ones actually look like they may be easy enough to walk in, and they have a unique style to them! 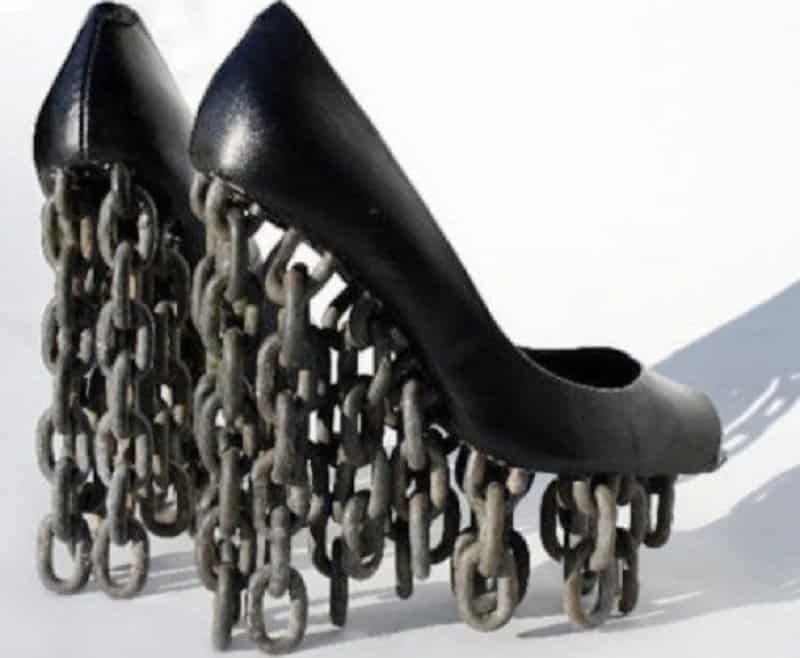 These shoes make the perfect statement…for an ex-inmate. These shoes look more like artwork than they do shoes, and one can only imagine how difficult they are to walk in! 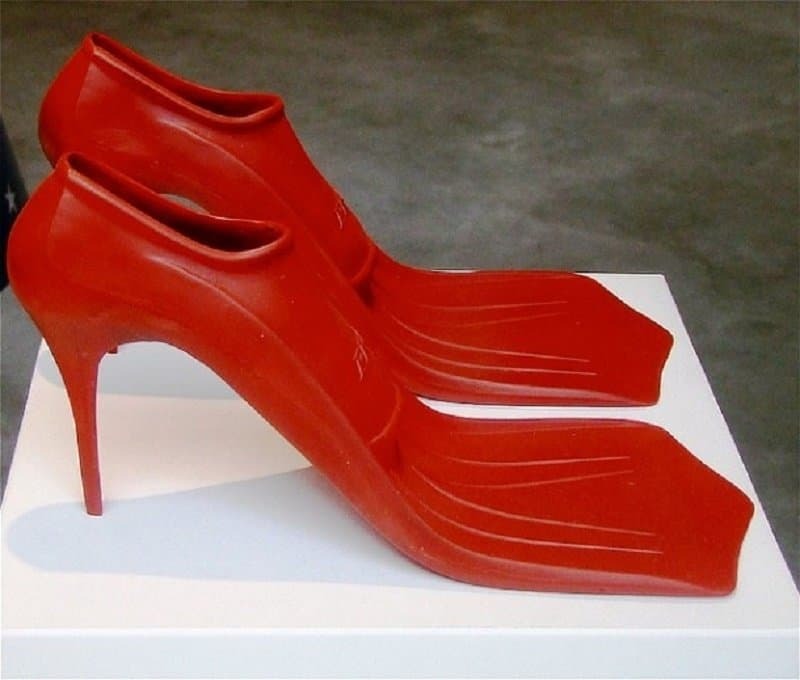 These are perfect for the woman who goes straight from the office to her scuba-diving lessons. 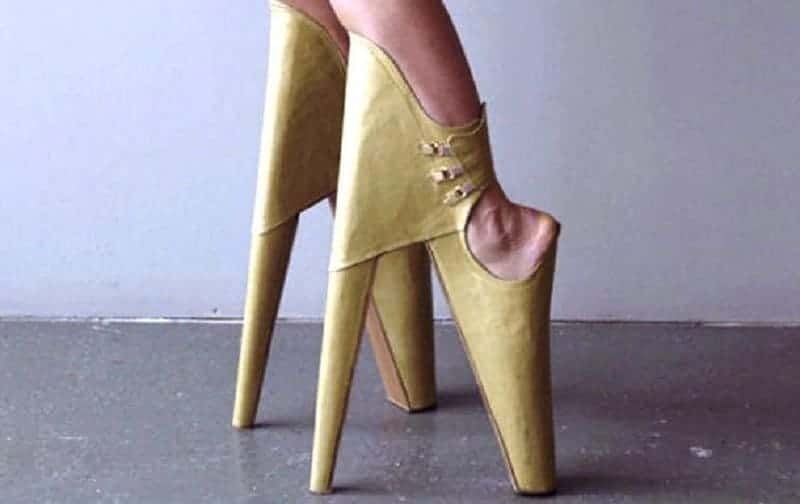 These shoes look painful, not only for the person wearing them, but anyone she may come in contact with. 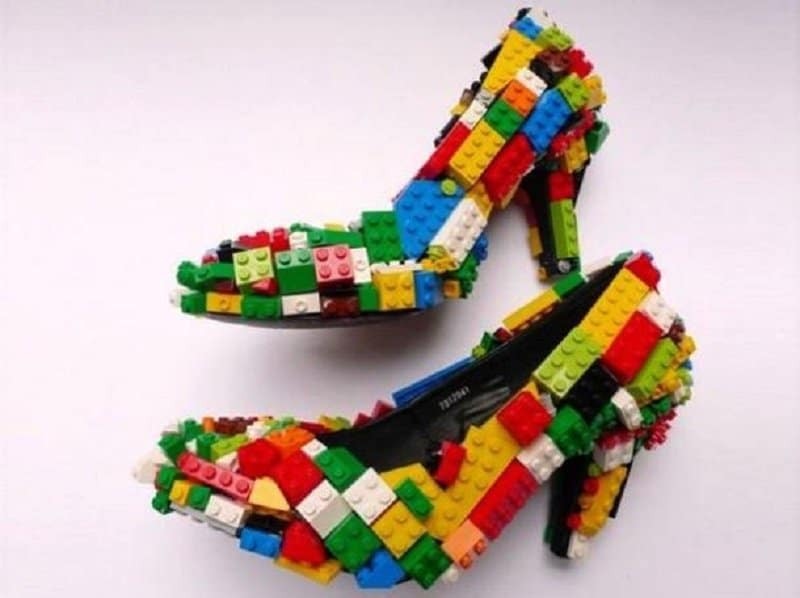 Everyone knows the painful feeling of accidentally stepping on a piece of Lego… We have to wonder, who would do it on purpose?